French politician, businessman and President of the European Commission between 1973 and 1977. François-Xavier Ortoli was born in Ajaccio, Corsica, but he spent his childhood and youth in Indochina, where in spring 1945, he took part to the resistance against the Japanese. In 1946 he returned to France to start his studies at the National School of Administration (ENA), after which he joined the Inspectorate of Finance, in 1948. In 1951 he was assigned to the Franco-Italian Conciliation committee to implement the economic provisions of the Paris Treaty of 1947. Being assigned to the French embassy in Rome, he visited Italy extensively, including Sicily, which left a long-lasting experience on him. 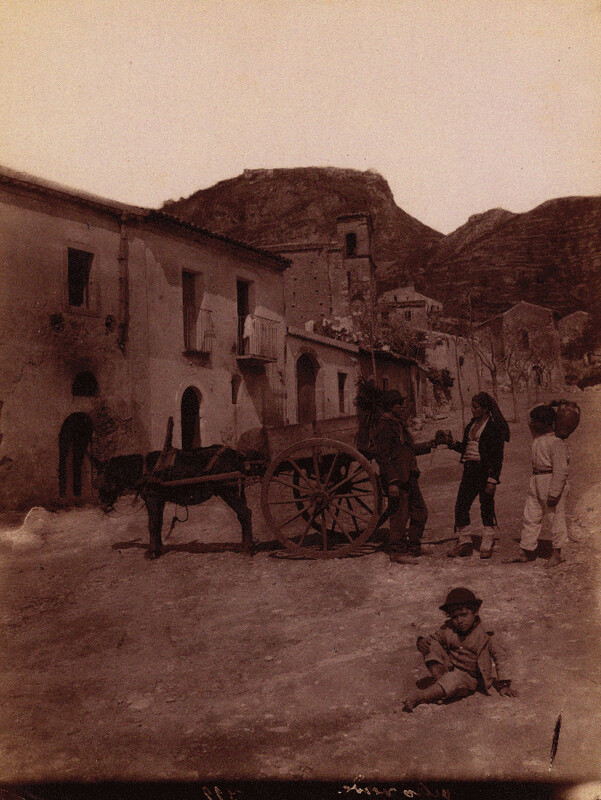 A keen photographer and collector, Ortoli presumably bought a collection of photographs of von Gloden (those present in this exhibition) in this occasion, fully realizing the artistic and cultural value of the images. After covering roles of responsibility within the Ministry of Economy and Finance in the late 1950s, Ortoli became Minister of Equipment, then Ministry of Education and Minister of Economy and Finance between 1967 and 1969, and eventually Minister of Industrial and Scientific Development from 1969 to 1972. Elected as President of the European Commission between 1973 and 1976, he oversaw the enlargement to nine countries and dealt with the oil crisis. Ortoli was appointed Vice-President for Economic and Financial Affairs in the Jenkins and Thorn Commissions, from 1977 to 1984, and contributed decisively to the establishment of the European Monetary System in 1979. Back in France in 1984, he became the president of the CFP/TOTAL Oil Group until 1990, and then President of the employers’ organization CNPF/MEDEF. Until his death in 2007, he covered various roles of consultancy and has been part of several administration boards.